Asan intimvask lanserer dusjolje, spesielt tilpasset sensitiv hud og daglig intimvask. Simen Nyberg-Hansen ansettes som ny administrerende direktør i Weifa. Norway's leading consumer health company, will release its fourth quarter and full-year 2016 results on Thursday 16 February 2017. Weifa has in-licensed a patented fixed-combination product line within pain management from AFT Pharmaceuticals (“AFT”) in New Zealand. The agreement gives rights to commercialize the products in the entire Nordic region (Norway, Sweden, Denmark, Finland and Iceland). Norway's leading consumer health company, will release its third quarter 2016 results on Tuesday 25 October 2016. 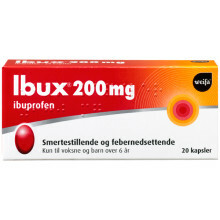 Weifa ASA to launch Ibux® 200 mg soft capsules to strengthen its pain relief portfolio. Weifa ASA is pleased to announce the launch of Ibux® 200 mg soft capsules, a line extension to the already well established Ibux® range. Weifa ASA to launch Solvivo® - a new OTC product for sore throat in Norway. Weifa ASA is pleased to announce the launch of Solvivo® lozenges. With Solvivo® Weifa enters the OTC throat segment, which has had a value growth of 64% last twelve months, and represents a value of MNOK 11 last twelve months (pharmacy purchasing price). This is the fastest growing segment within the Cough & Cold category. Norway's leading consumer health company, will release its second quarter 2016 results on Thursday 25 August 2016. Weifa ASA is pleased to announce the launch of Zonat® tablets, which is indicated for short-term symptomatic treatment of occasional insomnia in adults over 18 years old. Zonat® contains the antihistamine doxylamine, which is well established as a non-prescription (OTC) product for occasional insomnia in several European countries. In Norway Zonat® will require medical prescription. 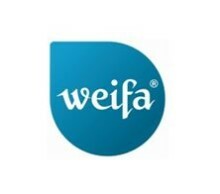 Weifa has signed a 5-year distribution agreement with the Fysioline Group (Finland). The agreement covers several of Weifa’s most recently launched products within the pain category, and can be extended to include additional products. Weifa ASA presenterer tallene for første kvartal 2016, tirsdag 26.april. ​Pyricare er en nytt produkt fra Weifa innenfor sårbehandling. 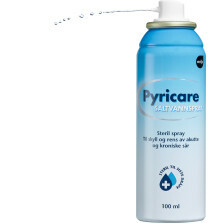 Pyricare steril saltvannspray til skyll og rens av akutte og kroniske sår. Små kuttsår og skrubbsår gror vanligvis uten behandling, men rengjøring av såret er viktig for å forebygge infeksjoner. Bakterier kan lett trenge inn i et åpent sår og forårsake infeksjon.